Entries close Saturday, September 15th at 5:00 p.m.
Exhibits must remain in place until closing, Sunday, September 23. The tent will close at 6:00 P.M. exhibits will be available after 7:00 P.M.
1. A limit of 1 entry per class except by special permission from Department Chair. 3. 2 oz. or more samples wound in 1.5 yards skeins or longer and tied in at least three places. 4. 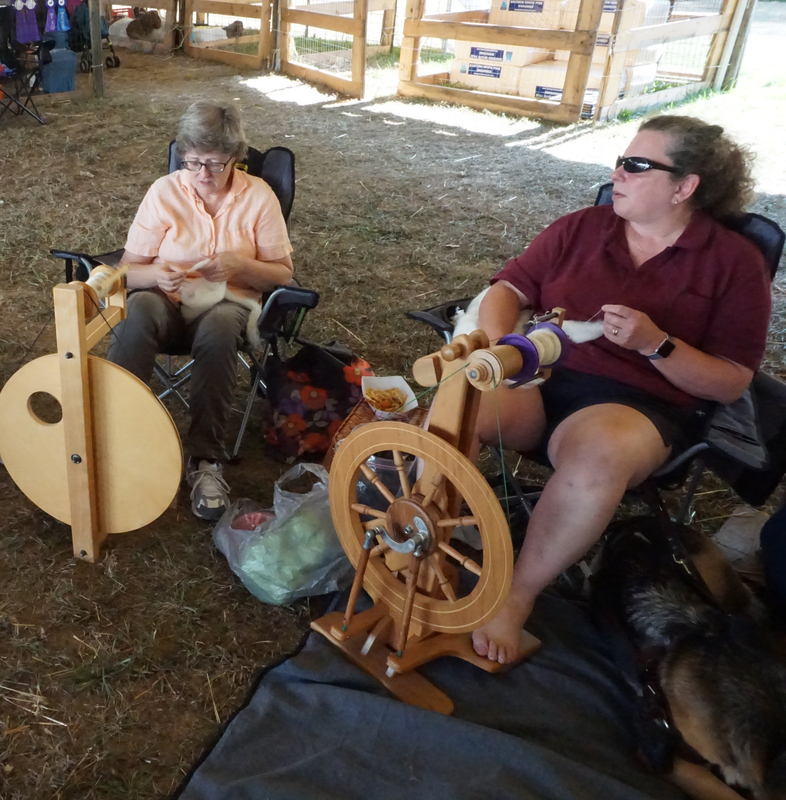 Judging will be based on consistency of spinning, appropriate hand and overall quality. 5. Judge may elect to make special awards for outstanding entries. 6. All skeins must be hand spun yarn except for dyed yarn classes (classes 12, 37).